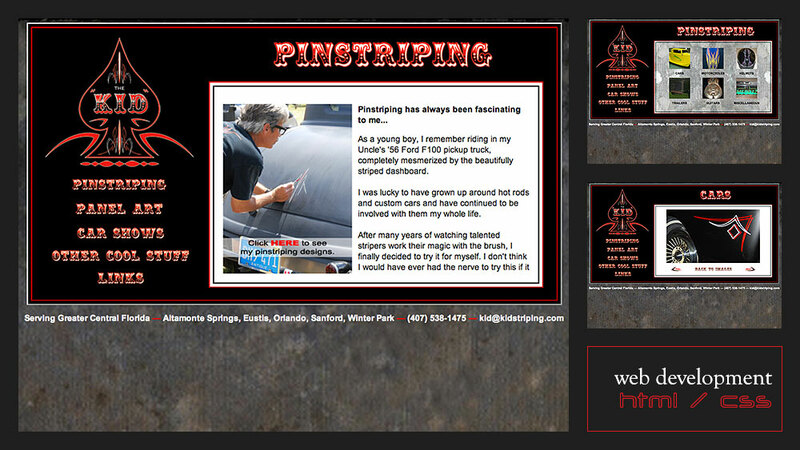 The Kid Pinstriping asked us to develop a portfolio site to showcase his expertise and body of work. Emphasis was placed on image sizing to reduce load times. Due to the large amount of imagery and varied subject matter, great care was taken to organize the site and provide simple and clear navigation.